At ADI we’re always looking for new areas of the home counties to serve and London is, of course, a large part of our business focus. Now with additional teams of ADI plumbers available we’re able to offer a more far-reaching service with improved emergency call out times of 60 minutes or less. Our plumbers can help you with plumbing and plumbing related issues from a leaking swimming pool right down to a tap that drips non-stop and is slowly driving you mad. 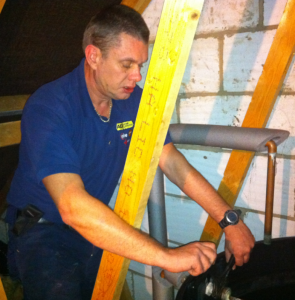 We also offer additional services in the form of power flushing and leak detection. It doesn’t matter how carefully a plumber installs a central heating system there’s dirt in the water that flows through it that eventually causes a blockage in it and that’s not even taking into account the problems you could have with limescale. Our power flushing service removes these blockages and limescale in the most efficient and least messy way possible. Finding leaks is more of a science than anything else and with ADI Plumbers we use a combination of years of experience and a range of very advanced leak detection equipment which allow us to see inside your walls or listen for leaks underneath your floors so no leak can elude us. The very best in professional plumbing help is just a phone call away so why not call us free now on 0800 731 3848 to discover more about ADI Plumbers and what we can do to end your plumbing problems.